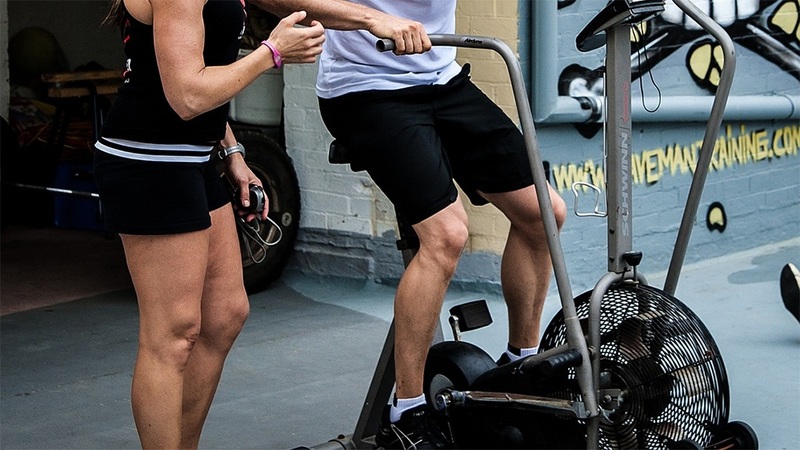 Looking for a great pair of cross training shoes for men? This post brings you reviews of 5 great trainers along with a buyers guide. A good pair of trainers for any form of exercise is vital. This is down to the fact that you’re likely to be enduring repetitive motion for long periods of time. If doing so wearing a poor quality shoe or one that fits badly you could be in trouble. Cross training has several benefits such as reducing risk of injury as well as enhancing weight loss. However, you’ll need to make sure you have the right shoes. You’ll find that poor quality trainers wear out quickly, whilst badly fititng ones could cause you discomfort and even health implications. If you’re in a rush and just want to know our favorite, we found the Nike Metcon 4 Training Shoe to be the best cross training shoes for men. If you’re keen find out why keep reading! The shoes in the table above were ranked based on a mixture of consumer research and experience. As you can see they all ranked very closely. If you go for any of the above you will be getting a great cross training shoe regardless of which pair you choose. Finding a great pair of cross training shoes is vital in ensuring you get the best possible benefits from your workout. An uncomfortable or poor quality pair of shoes will hinder your work outs and discourage you from pushing yourself. 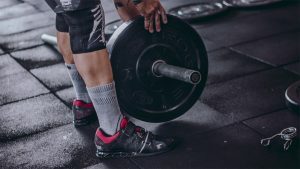 Below is a list of the best cross training shoes for men available to date. A lot of thought went into these shoes for cross training. The heel dips in the middle and then rolls up on the medial and lateral sides. This was done to help minimize drag while you are doing handstand pushups. The drop-in midsole was designed to give you both a stable feel and fit. In order to make these shoes breathable, a lot of mesh was used. Most notable is the mesh on the heel and ankle. This was done to keep your feet from overheating during an intense training session. If you are looking for shoes to run in, these are great due to their sticky rubber in the forefront. It provides amazing traction for training in all weather types. These shoes are another example of a product made specifically for intense training. Although you could wear them all day, you will soon discover that they have less padding than your typical running shoes. Although they provide plenty of comfort and support to run in, they may hurt your feet after a couple hours of standing around in them. Athletes find these shoes to give them a “barefoot” feeling, which is desirable for training. Whether you are into Crossfit, running, lifting weights, or even jumping rope, these shoes are great. Made from synthetic leather, these shoes look great while helping to increase your performance. Coming in 8 different bold designs, this shoe is very eye-catching. It is imported. It has a rubber sole as well as removable insoles. The upper on these shoes are very light. They are made of a synthetic material that is very breathable. Despite being lightweight, it is still incredibly durable and provides plenty of support for your training. The toe is nice and flexible to help keep your comfortable when you are running. Rubber lines the outsole for an anti-slip grip. With the air-mesh tongue, lining, and collar, you do not have to worry about your feet overheating when you workout in these shoes. There is a wedge in the midsole to help give you the ultimate in stability while you are running. These shoes are great for weightlifting because of how much stability they give you. They fit great and are ideal for athletes. Although they were designed with weightlifting in mind, they are still an excellent choice for Crossfit. These shoes are designed for working out. Due to the elevated heel, they would not be terribly comfortable to walk around in all day. There is a lot to love about these athletic shoes. They have much to offer in the way of both comfort and stability. With 18 different color options, there is bound to be a style that works for you. These shoes are synthetic and have rubber soles. The toe box is nice and wide to help you get powerful movements when out on your run. This also adds to your comfort when wearing these shoes. Even though the toe box is wider than your average shoe, users do not find the fit to be sloppy. The upper uses Flexweave technology to give you the ultimate in breathability, durability, and stability. You also get a good amount of cushioning in the forefront. These shoes were made with Crossfit in mind. Reebok got feedback from that community when designing them. The outsole, in particular, is ideal for Crossfit. It is made to give you a good deal of grip and to allow you to hit your potential. You can easily remove and replace the insoles in these shoes. This is great in case you wear them out with your training. If your feet are on the flat side, you will likely want to replace the insoles from the get-go in order to wear these shoes comfortably. The Fingertrap shoes by Nike have a unique and eye-catching design. With the weaved pattern on the sides of the shoes, these are sure to set you apart. Like most shoes from Nike, these come in a variety of pleasing colors. In fact, there are 16 choices of styles, including a surprising number of black options. Intended to hug your foot like a sock, these shoes have an inner sleeve made out of breathable mesh. Nike uses what the call “Dynamic Fit” technology to give you that glove-like experience. A lot of considerations went into the sole of these shoes to make them ideal for athletes. They are made of solid rubber. Additionally, they have deep grooves to allow your feet to flex and move as naturally as possible. The pattern of the outsole is multi-directional to give you as much traction as possible. These shoes are great not only for training but also for all day use. They have ample cushioning to keep your feet feeling good as the day wears on. People love using them as work shoes. One common complaint is they tend to run a bit small, so consider ordering a half-size up if you decide to go with these shoes. Puma’s cross-trainers have a lot to love. They come in only six colors, and they are all more subdued than you see from many of the other brands. That being said, they are very attractive and sleek looking shoes. Puma prides themselves on making shoes that combine fashion with athletic functioning. The Tazon 6 shoes are imported and made from synthetic leather. The shoes have a rubber sole to help you get amazing traction when wearing them. You will find stable cushioning in every part of these shoes, giving you a very comfortable experience. The insoles that come in these shoes are very soft. If need be, they can be removed and replaced. There is not a lot of arch support in the shoes, which may or may not be a good thing for you. Unlike a lot of other cross-trainers, people find these shoes perfectly comfortable to wear all day long. They are very popular as work shoes, particularly the all black version. Some athletes find these shoes to be too stiff to run in, but this is not a common complaint. There also is not a lot of ventilation in the material, which can make it hard for your feet to breathe. The sizing runs true and overall these are much-loved shoes. 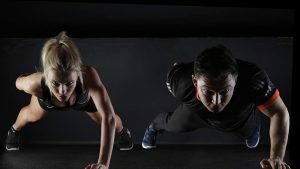 Cross-training, or participating in exercises that don’t relate to an athlete’s normal sport or workout routine, is a great way to stay in the best possible shape. Nearly every type of training you do puts a lot of strain on one part of your body: your feet. That is why it is so important to find the best cross training shoes for you before going any further on your fitness journey. There are a lot of things to consider when shopping for the right pair of shoes. This guide will highlight some of the key factors to watch out for. On the other side of the coin, you need traction. While important for both lifting and running, this feature will be more important when you are running. You need shoes that have a good pattern on the bottom that will prevent you from slipping. Outsoles made of rubber are considered good for both indoor and outdoor traction, something important for a lot of people who cross train. When you are pushing your body to its max, odds are you get a bit sweaty. This can be very annoying when it happens to your feet. It is not very easy to wipe them down with your sweat rag, after all. Having shoes that allow your feet to breathe is important. Look for shoes that have a decent amount of mesh in their design. Ventilated shoes will keep your feet from feeling too hot. How much your shoes are weighing you down can be a bigger deal than you think. You do not want your feet to fatigue too quickly. Many cross-trainers go out of their way to be lightweight. Finding shoes with the right amount of flexibility can be more of a challenge. Shoes that are made primarily for running tend to be more flexible than those made for weightlifting. Since you are likely looking for shoes to do both in, it may be difficult to find the right balance. You will put your cross-trainers through a lot, so it is important that they are made to take the abuse. The construction of the shoe will determine how long it will last. For the upper, you are looking for either leather or breathable mesh, depending on if support or ventilation is more important to you. Rubber is the staple for the ultimate in outsole material. For the midsole, a quality shoe will have either Ethylene vinyl acetate or Polyurethane. These materials give you cushioning as well as durability. When training, you probably look for comfort wherever you can get it. For cross-trainers, the biggest factors in comfort are the cushioning and arch support. 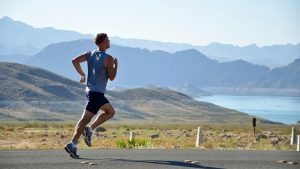 These things are more important when engaging in high-impact activities, such as running. When doing these activities, you need the cushioning to be able to absorb the impact and protect your body. If the shoes can turn the impact into momentum to take off again, even better. As for your arches, you need good support, no matter what type of feet you have. The arches are a very common place to experience pain after prolonged training. If your shoes are not getting the job done, many shoes have removable insoles that you can replace with ones that work better for you. Keep in mind that the part of the shoe that will wear out for depends on your arches. Many of the brands that make cross-trainers are known for being pricey. In order to justify the price tags, they often make high-quality shoes. There are exceptions to this, however, and you need to make sure any shoes you buy are worth the money. If you are spending a lot of money on a pair of shoes, they should be designed to work for a wide variety of cross-training activities. They should also be comfortable and offer great arch support. If you are ordering your new shoes online, make sure there is a decent return policy. No matter how well you think you know your size, you may end up ordering from a company that has different ideas. Shoes often end up being too narrow or too wide, so make sure you can at least exchange your new shoes for a better size. Reading online reviews is a great way to discover if the shoes tend to run true to size. Your heel should not be so constricted that it cannot move at all. At the same time, you do not want it to be able to move too much. There should be roughly half an inch between the end of your big toe and the end of the shoe. Your foot should fit comfortably along the bottom and not rest on top of any of the support structures in the shoe. If this is happening, try a wide version of the shoes. If you’re a runner and have wide feet be sure to check out our buyers guide on wide feet running shoes.